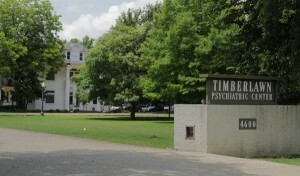 Under “Regulatory Matters” in the filing, UHS said, “On July 23, 2015, Timberlawn Mental Health System (‘Timberlawn’) received notification from CMS [Center for Medicare and Medicaid] of its intent to terminate Timberlawn’s Medicare provider agreement effective August 7, 2015” because of the facility’s failure to comply with conditions for the federal program participation. Timberlawn was cited for deficiencies, some which were considered by CMS to be an “immediate jeopardy” situation for patients. UHS is appealing the termination which has been extended to August 13, 2015 pending further review and rulings by the U.S. District Court for the Northern District of Texas. Timberlawn was cited for deficiencies, some which were considered by CMS (Center for Medicaid and Medicare Services) to be an “immediate jeopardy” situation for patients.